Do you love a good dollar store makeover? We do! 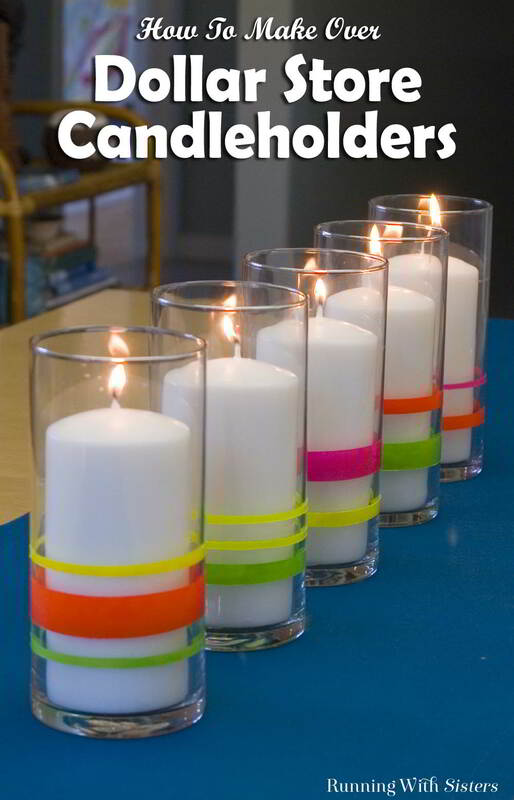 Here’s a set of dollar store candle holders we made for HGTV online. They wanted inexpensive ways to add color to your decor. So we went to the dollar store and got cylinder shaped candle holders. While we were there we got some paint. Well, not exactly paint, we bought dollar store nail polishes! Nail polish is really enamel paint and it works great on glass! 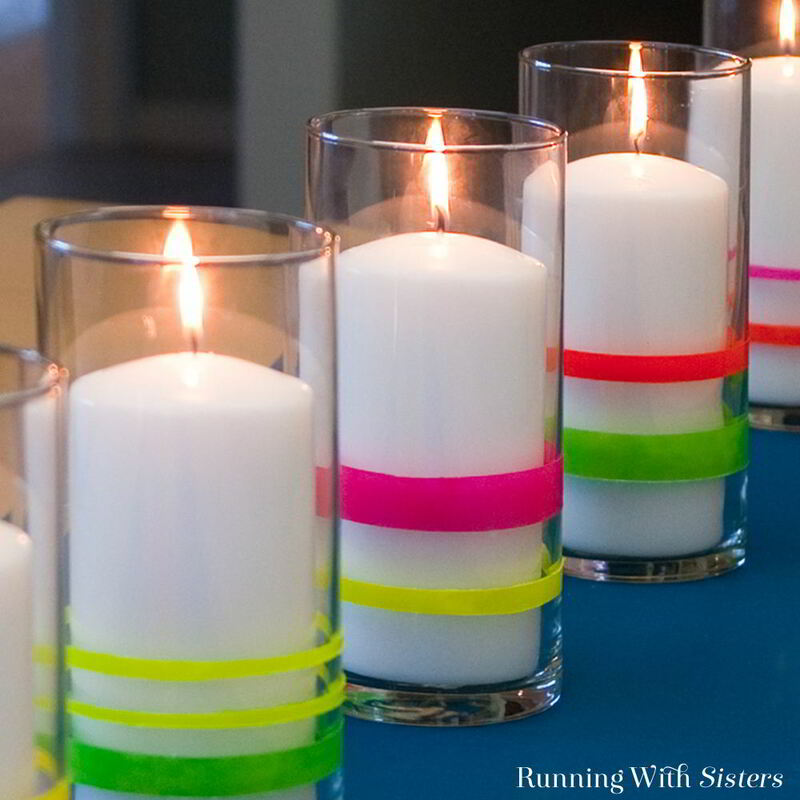 To make our Neon Lights Striped Candle Holders, we used masking tape to create the striped areas. Then we painted the glass with generous layers of nail polish in all the neon colors. 1. Wash and dry the glass candle holder. 2. Create striped areas using masking tape. 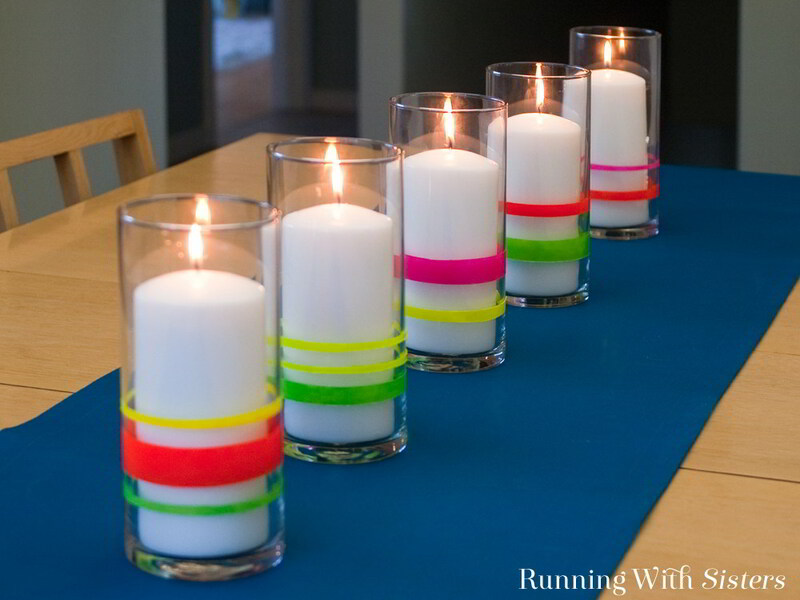 We did two stripes on some of the dollar store candle holders and three on others. And we made the stripes different widths, just to add interest. 3. Paint the stripes using the nail polish. We did more than one coat, letting coats dry in between. This helped eliminate brushstrokes. We painted the stripes different colors, but you could paint them the same color, of course! 4. When the paint is dry, peel off the masking tape. Do you have favorite crafty things to get at the Dollar Store? We love it when they have faux succulents and shells. And we think it’s a great place to get glass vases and things to upcycle. If you like Dollar Store Makeovers, here’s another one we did. 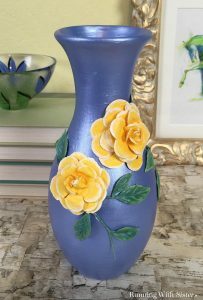 Yes, it started with a dollar store vase! Let us know what dollar store items you like to upcycle? Have you made some great dollar store discoveries? Please share! Love it? Pin it! Thanks! !